During my year of biblical womanhood, I benefited immensely from the perspective of Jewish women, particularly my friend Ahava, who was the first to introduce me to "eshet chayil"—woman of valor—as a biblical blessing. Ever since then, I have been careful to consult Jewish sources when working through Scripture, and sure enough, l always learn something new! 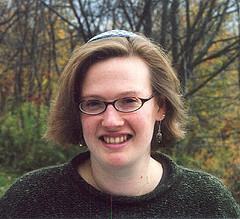 Rabbi Rachel has blogged as The Velveteen Rabbi since 2003. She was ordained by ALEPH: the Alliance for Jewish Renewal in 2011, and today serves a small congregation in western Massachusetts. She is author of 70 faces (Phoenicia Publishing, 2011), a collection of poems written in conversation with the Five Books of Moses. You can also follow her on Twitter. Enjoy! Like most Jewish kids, I grew up hearing the story of Esther in the court of King Achashverosh each year at Purim. But I didn't appreciate the subtle humor of the story, or the wonders of her character, until I was entering my thirties. And when it's important for her to reveal herself, to show her true identity, and to save her people from extinction, she does so. Indeed, as her uncle Mordechai suggests, perhaps this is precisely why her life's circumstance led her to this moment and this place. Without Esther, the wicked Haman would surely have succeeded in using the power of buffoonish King Achashverosh to destroy the religious minority who chose to bow only to our God and not to Haman. But with Esther in place, righteousness prevails. The megillah of Esther is a fascinating one. The tale is all court intrigue and farce: a king who parties to excess but who apparently doesn't realize his vizier is pulling all the strings, a harem of countless beauties, a queen (Vashti) who refuses to debase herself by dancing naked for the king and his guests and is banished for her reticence lest the other women in Persia get the idea that they might try being uppity too. No wonder we read it each year during Purim amid a riot of costumes and merriment, noisemakers drowning out the bad guy's name! And yet the megillah is shot through with threads of something deeper and more meaningful than all of this. God is never mentioned in the megillah, but divine presence permeates the story. (Indeed, one might even say that God is nistar, hidden, like our heroine Hadassah who is playing at being Esther.) What we call hashgacha pratit, divine providence, is discernible everywhere. And I would argue that it's present most palpably in Esther, our heroine who hides in plain sight until her people need her to be revealed. 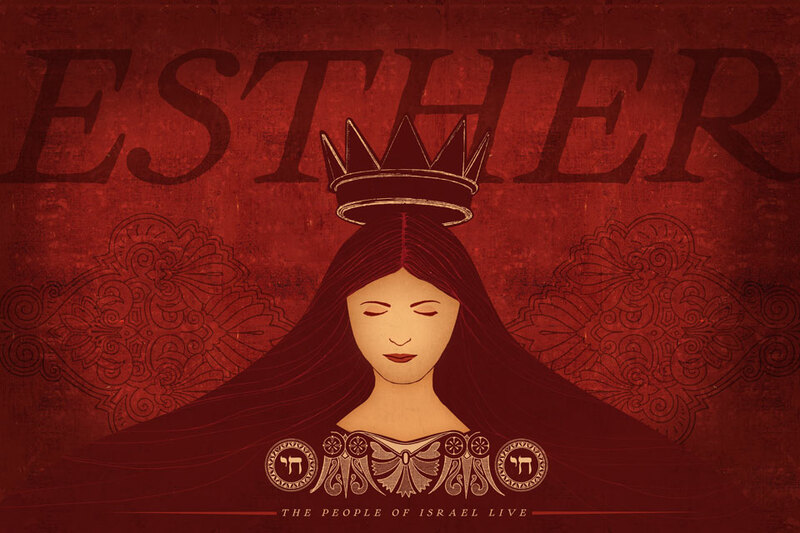 Classical midrash -- Jewish exegetical commentary -- explores many facets of Esther. Perhaps she ate only seeds and nuts and fruits while in the harem, unwilling to sully herself with unkosher foods. Perhaps her name Hadassah is a subtle literary clue to her sweetness (myrtle has a sweet fragrance) and her innate desire to do good deeds (that's one of the symbolic associations of the myrtle branch in Jewish tradition). Perhaps she hid from the courtiers of Achashverosh for four years before she was found and brought to the palace for the nation-wide queen contest. Perhaps she observed Shabbat even in the harem of the king, in secret. I like the interpretation which compares Esther to the moon: sometimes hidden, but her light nevertheless shines in the darkest of nights. When the Jews of Persia faced their darkest of nights, Esther revealed herself like the moon shedding a cloak of cloud. I see her as the ordinary person who, under extraordinary circumstances, rises to the occasion of living out her best self. And when she does that, she becomes God's hands and voice in the world.